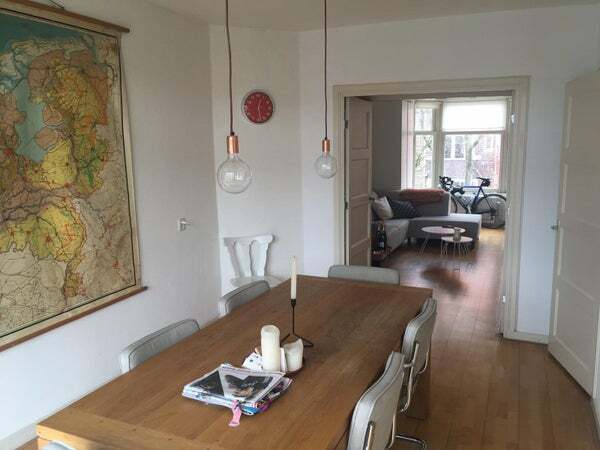 his nice 2-room apartment in Amsterdam-C (in quiet area of South Amsterdam). Its available per 1 May 2019. It is suitable for a single person or a couple. The apartment is located on the 1st floor of a modern building in a quiet street. It is 65m2. The bathroom has bath with shower wall, modern bathroom sink . There is a separate toilet. The spacious bedroom offers a double bed and a wardrobe. There is also a (bicycle)storage (approx. 6m2).